The [fep-lilo] shortcode allows users to Login, Logout and Register. 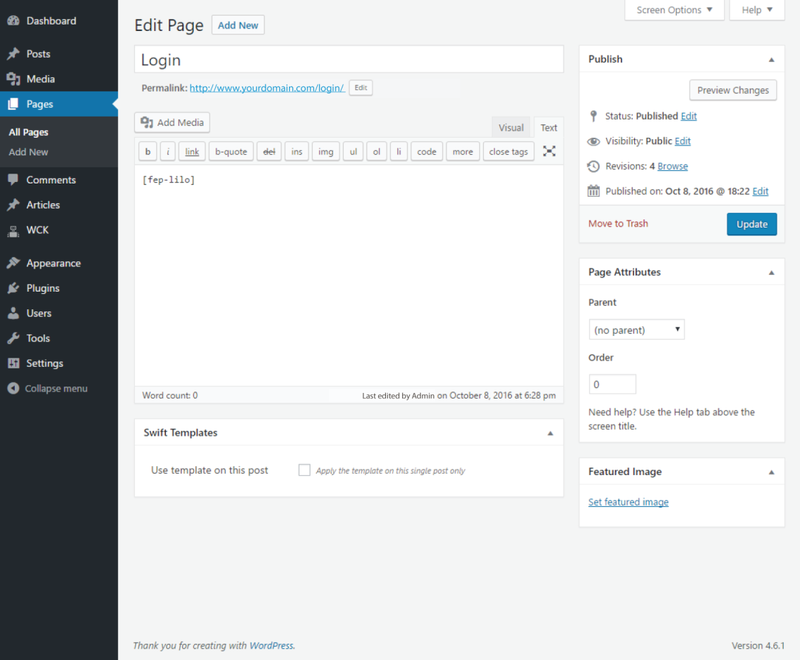 To generate the Login form add inside a page the [fep-lilo] shortcode. Users will need to click on the Register link to create an account. After Login users can logout using the same form. Users can Login, Logout and Register using the FEP Login/Logout Widget.